The 28-year old priest, Jacek Miedlar, was stopped by border officials after landing at Stansted airport, intending to speak at a meeting of the far-right “Britain First” organisation. Miedlar, in turn, accuses his critics of being left-wing agitators or unpatriotic. He was stopped from the UK after landing in Essex on the grounds of Britain’s hate-speech laws but was intending to speak at the event in Telford, Shropshire. The location was chosen by Britain First, a racist far-right grouping which calls itself a “street defence organisation”, because of its strong Polish community, and because of allegations of child-sexual grooming in the area. This topic became infamous in far-right circles after the uncovering of a gang in Rotherham, south Yorkshire who had groomed children for abuse between 1997 and 2013. Five men, all British-Pakistani, were later jailed for sexual offences, creating a cause celebre among anti-immigrant groups. Miedlar has his own hard-right following in Poland, after speaking at far-right rallies, and being suspended by his local Catholic church. The UK Home Office confirmed that an individual was detained on Saturday morning by Border Force officials working with local police. He did not specify what “Iranian hate preachers” he was referring to. According to the anti-racist campaign Hope Not Hate, only 87 people eventually turned up in Telford for the event. At 85% of its population, Poland is one of the EU’s most staunchly Catholic countries, although Miedlar is far from representative of anything but an extreme fringe. 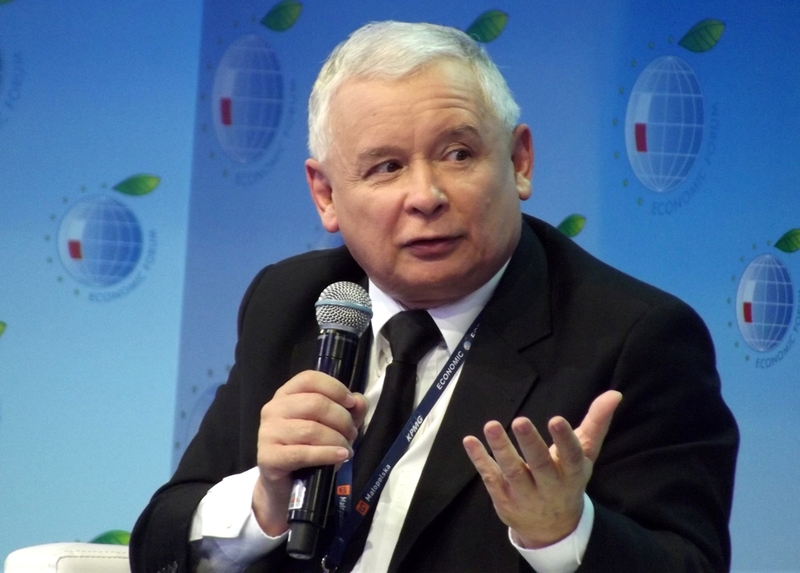 It’s been a tough year since Poland’s populist Law and Justice Party (PiS) first took office. Both for Poles, and for the EU. EURACTIV Poland’s Editor-in-Chief Karolina Zbytniewska takes a slightly satirical look back. 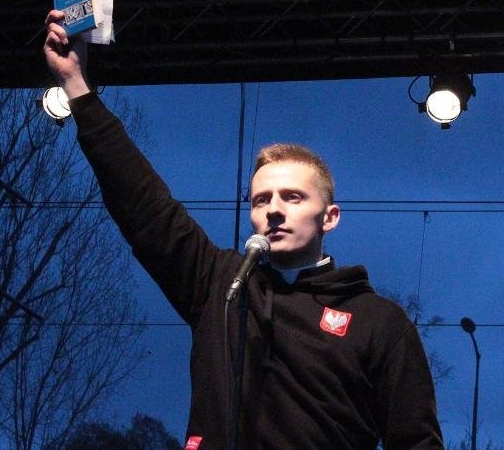 After the liberal Civic Platform government of now EU Council President Donald Tusk, Poland has reverted to the Law and Justice party, which although was born out of the secular Solidarity movement, is now socially-conservative and in informal alliance with the highly-Catholic League of Polish Families party. The question of the far-right co-opting the Catholic church to target Muslims, immigrants and refugees is a pressing one for Jan Figel, the EU’s first ever Special Envoy for the Promotion of Religion or Belief Outside the EU. His term comes up for renewal in May 2017.
such a right-wing Polish hasn’t learnt what happened to jews in WW2 ??? Then he calls itself a priest ?? Just disgusted …. well ‘ve to say: well done Britain for barringhim . Jacek Międlar is a FORMER priest. “informal alliance with the highly-Catholic League of Polish Families party” — LPR hasn’t featured in mainstream politics since forever, its former leader, Roman Giertych dissasociated himself from his party, went back to being a barrister, and took a dramatic U-turn in his stance on social issues, joining the anti-gov opposition and even attending LGBT events. Civic Platform is not a liberal party!! Liberal in the post 19th century English language means caring for the poor in society. In 2014 – after 25 years of Rich Boy rule – official Polish stats showed that over half a million children had meat on the table only twice a week. That equates to absolute poverty. 3rd World poverty. Then the trade union backed government headed up by Prime Minister Beata Szydło, daughter of a coal miner from the valleys of South Poland, introduced CHILD BENEFIT and eliminated all extreme child poverty within a few months. Civic Platform oversaw massive real estate thefts worth billions of euros – even involving the Mayor of Warsaw herself, who benefited from her husband fraudulently acquiring rights to a Holocaust asset. Stealing from dead Jews isn’t very liberal, is it? One fourth of Katowice was fraudulently acquired!! Lodz, Gdansk. 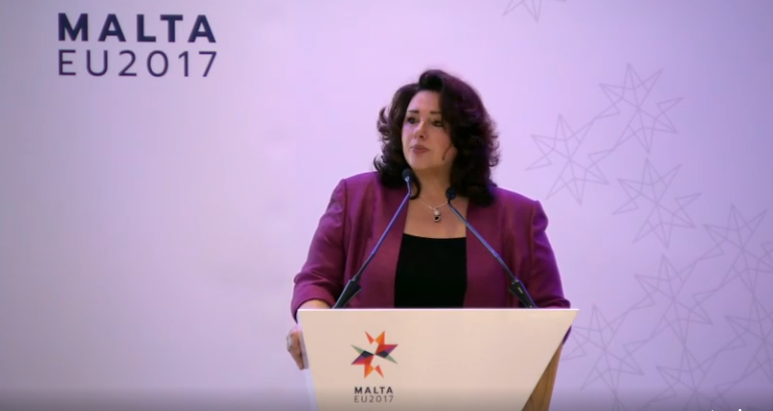 VAT receipts have risen 25% in the last year, as the Law and Justice party shut down mafia operations linked to bogus exports – all signed off thanks to the Tusk regime. This isn’t Liberalism – this is OLIGARCHY writ large! It’s time Europe woke up to the zombie state that existed in Poland – the total breakdown of law and order masterminded by Tusk, who is the only man in Europe who can rival Juncker for dishonesty. Poland and Luxemburg – the two gangster states of Europe. Shame on England. I’m just disgusted by their trampling if free speech.